Some of the artificial products under the Foods Category are "energy drinks", and Red Bull I think is the most popular. It is said that its ingredients give you more energy, help you stay alert and focus, it "gives you wings" they say. 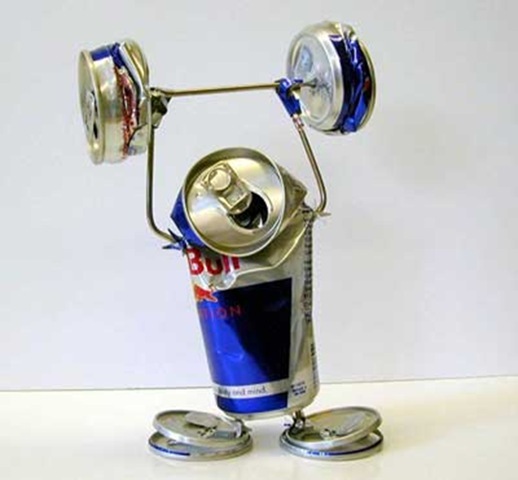 Most of the ingredients Red Bull contains can be found in more natural drinks, like Coffee. It also contains others substances that are being naturally produced by our bodies like Taurine. Taurine is an amino-acid produced in small amounts by our bodies, and also found in foods like, meat, seafood, fish and eggs. Although Taurine is a benefficial substance, consuming it in excesive amounts could cause serious health complications like, high blood pressure, stroke and seizures. Energy drinks are also becoming very popular in bars and clubs, as there are many cocktails that combine them with alcohol . A practice that is not advisable since mixing alcohol with energy drinks, can cause dehydratation and even heart attacks, given that energy drinks act as stimulants, whereas alcohol is a depressant, so the combination could be dangerous. I chose it because I believe we shouldn't consume this kind of artificial products, when we could get the same stimulant ingredients in other natural and healthier foods.